In the last week of September, residents of BCCHS Layout, close to Kanakapura road in Bengaluru, noticed illegal dumping of garbage by unknown people on BDA land and Gomala land, while on their way to Chamundeswari Temple at Hurakalu Gudda very close to the Anjanapura BDA Layout, II Block at Lal Bahadur Shastrinagar. They soon found out that the dumping had been systematic: for several years on end, garbage had been dumped at these sites and covered with debris, while the neighbourhood assumed that the land was being levelled by its owner. Over time, as the stench got unbearable, residents looked deeper into the issue and the truth came out. They also realised that the dumping was the real reason for the increase and multiplication of mosquitoes and houseflies in the area. The residents spent weeks trying to find out who the culprits were but were unable to identify them. They would keep a watch late into the night, but just after the tired citizens retired, often as late as 3 am, garbage would be dumped and the ground levelled by a JCB. It was then that they realised that they were up against a really strong network of dumpers, one that had access to almost real time information about the site. The residents complained to the concerned elected representatives but did not receive any support. BCCHS Layout comes under Ward No. 198 whereas the area where garbage was being dumped comes under ward no 196. 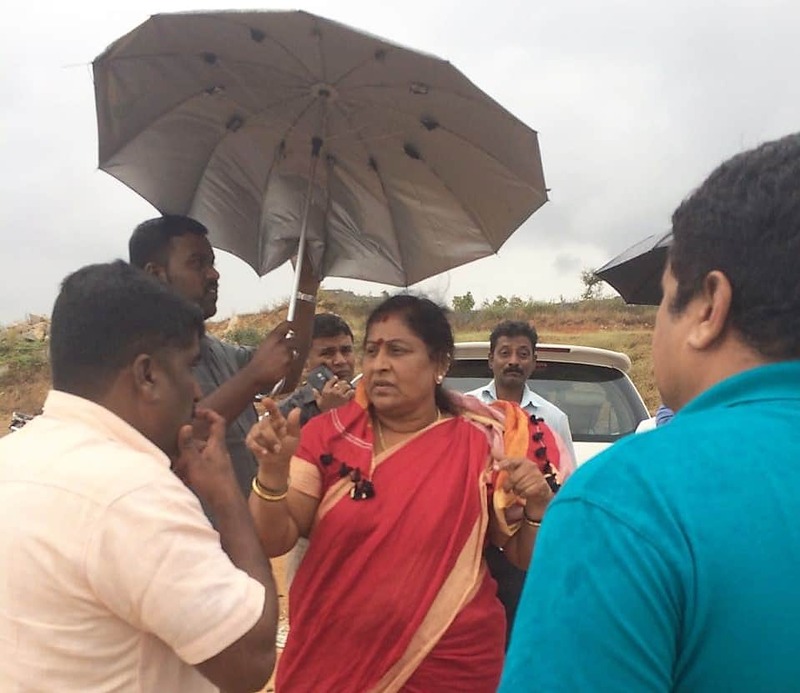 The fumes from the dump affect the downstream areas under Ward 198 to a greater degree, but the corporator here says it is not their problem since the site falls under the jurisdiction of Ward 196. However, people from the latter municipal ward are least bothered because they do not suffer as much. As a result, the problem rests in ‘no man’s land’ with none of the elected representatives showing any interest in resolving the issue. Residents even suspect the local administration of colluding with the culprits. Engineers have proposed a permanent solution by covering the garbage with a metre-deep layer of new mud, which will prevent the production of methane and hence avert waste-fires. An estimate of Rs 41.60 lakh has been reportedly submitted for the same but the approval for it is yet to be received and no action has been taken. The corporator of Ward 196 says it is difficult for him to get the money as the mayor belongs to a different party and they do not support him! BBMP/BDA officials make symbolic visits with no consequential action or decision. On December 2, 2016 the Mayor visited the spot and assured that she would take action but nothing has been noted so far. As the dodging of the real issue continued, residents were surprised one day at the sight of thick smoke engulfing the skies from the dumping yard. The situation continued for the next few days, worsening to an extent where children in the neighbourhood began facing breathing difficulties. The toxic smoke spread over 3-4 kms, creating grave situations for multiple layouts and residential complexes. Local television channels such as TV9 & NEWS9 even reported on the fires. The residents meanwhile continued their hunt and were finally able to catch some of the culprits, handing them over to the police. Suvarna NEWS covered this incident. The KSPCB has issued a notice to the BBMP but no other action has been taken. The situation has only been worsening with garbage frequently burnt on the site, releasing thick smoke that engulfs the skies. It is unfortunate that neither the elected representatives nor the BBMP/BDA officials value the lives of the people living in the area and continue to enable such violations by refusing to take any serious action. Naturally, the residents are extremely unhappy with the way the issue has been handled by various agencies and wonder why sincere efforts have not been made to stop this illegal garbage burning on government land. At the least, can the authorities not put up a board indicating that the land belongs to the government and threatening prosecution for trespassers? Arjun Nair, 28, died last month in a hit and run case. Neither driver nor the passenger stopped to check on him. They could’ve saved the young life, says his sister. A bunch of software developers are going to work through the weekend to find solutions to some of the water woes. How many of them will be implementable? A few Koramangala residents managed to not just stop BDA’s poorly planned Agara-Sirsi Circle signal-free corridor project, but also get an assurance of project review from the Chief Minister.